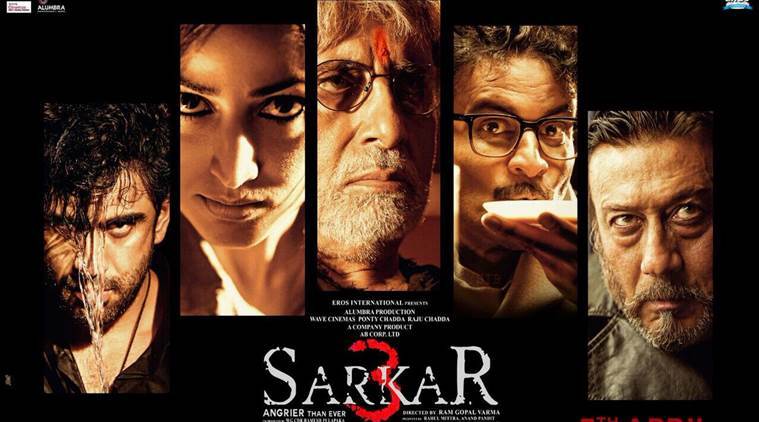 Annu Karkare (Yami Gautam) conspires and attempts to avenge the death of her father, for which she blames “Sarkar” (Amitabh Bachchan). Juxtaposed with the situation is Sarkar’s own personal battles with his volatile grandson Shivaji Nagre or “Cheeku” (Amit Sadh). Parallely the political and corporate diaspora pose threats to Sarkar’s dominance. Assisted by his aide Gokul Satam (Ronit Roy), Sarkar deals with one of his greatest adversaries in the form of Michael Valya (Jackie Shroff) and the moody and seemingly violent politician Govind Deshpande (Manoj Bajpayee).